We have a new premiere on the Fox! 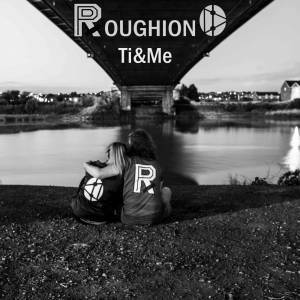 This time we are proud to present Welsh duo Roughion's new track "Ti & Me". I heard about the them during my stay in the UK and their DJ sets grabbed me with their variety in genres, where they would often mix original songs in Welsh, which has such a beautiful and mythic sound that you can't help but listen and get lost in. I heard that they were taking the welsh scene by storm and working a new album, so I got in touch to see what's up. The new single features a lovely vocal appreance by Lois Shenton over Roughion's stunning upbeat production - check it out and read the interview I did with the guys below. Hey guys, welcome on the Fox! Tell us something about yourselves? Haia StereoFox! First off thanks for having us and thanks for Premiering Ti & Me. 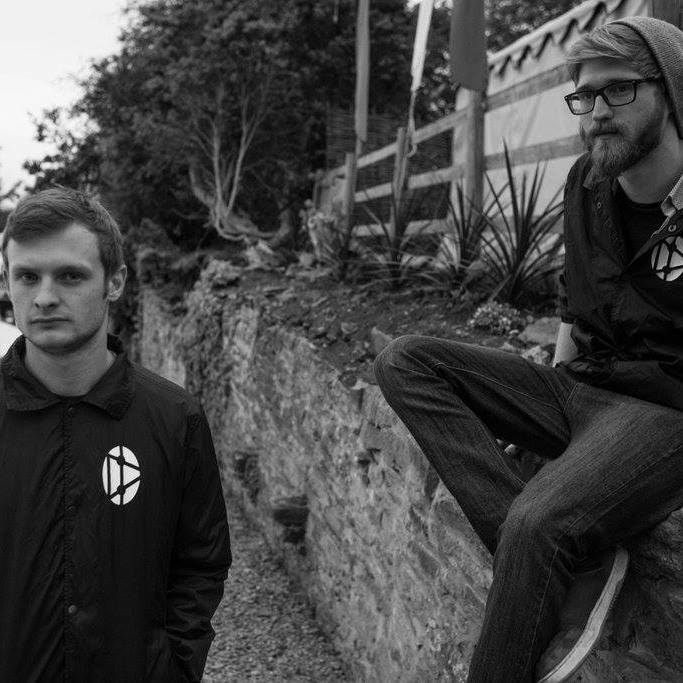 We’re Gwion and Steffan and together we’re Roughion an electronic duo from the sunny seaside town of Aberystwyth but now we’re based in Cardiff. As Roughion, what achievements are you most proud of so far? In our short time there are a few things that have already been pretty decent achievements for us, Steff’s is headlining Kaya Festival last year when we closed the second stage on the Saturday night. Mine then is playing in Glasgow, because playing welsh language stuff to people who literally had no idea what the words were but were singing them back was a pretty surreal experience oh, and getting ANY radio play. That’s always a bit nuts. How would you define your genre and which were your top influences when developing your sound? We can’t define a genre in the Welsh language stuff as we make so much variety. But before making any song we’ll listen to that genre of music all day to see what the vibe is. So for DnB tracks it’ll be mostly the heavy stuff like Dj Alpha, S.P.Y and BSE then for the other mellower tracks it’ll be Reggae or Jazz depends on the genre. When we do stuff in English it’s mostly disco and the fun stuff that we listen to before we make a track, i’m a fiend for the cheesy stuff. When we did Space out last year that just popped out from a guitar rif that our mate was doing then we thought it would be sick with some hip hop over the top. It all comes from different places and anywhere. About “Ti & Me”, how did the track come about and who did you collaborate with? So Ti & Me is a new one (obviously) but for us it’s REALLY NOT. We’ve been working on it for a good 2 years, under the name 4am. Its actually already on one of our videos on Youtube but it’s not even the demo for the final version on that. It came about at 4am in our old ‘studio’ which was my parents conservatory in Aberystwyth where we’d already been making music all night and had a second wind. For a good year we’d been playing it out in our live sets and seeing how it worked on a crowd. Then at the start of this year after tweaking and changing various things on it we decided, well were forced by our vocalist/housemate that she wanted to sing on it. So she wrote the vocals and then we did the rest. Played the live version in the sets with her and everyone seemed to ask what it was so we got it recorded at Sweet Spot Studio about 10 minutes away from our house in Cardiff and then blam, single. Anything you can share about the upcoming album? To finish up, what’s next for Roughion – where can people catch you guys perform? Well you can catch us doing a dj set every weekend at our residency at Ten Feet Tall in Cardiff which is LOADS of fun, we’re not allowed to play any commercial stuff so we’ve been playing unreleased stuff from us and a whole host of other bangers including the remixes for Ti & Me by Scullious and Denham Audio which sound INCREDIBLE but they’ll be out in a month or two with the music video. But the next live gig we have is at Truck Festival in Oxford with our Horizons squad supporting J5, Manics, and Catfish. Then we’ll be doing LOADS of gigs at the Eisteddfod from the 30/07 till 5/08 . We’re back at Kaya o the 5th till the 8th then number 6 in North Wales which is going to be CRAAAAAZY. But you can get everything on our social pages just type Roughion and we’ll be there. Thanks for sharing your music with us, was a pleasure to have you here! Anything else you want to add?